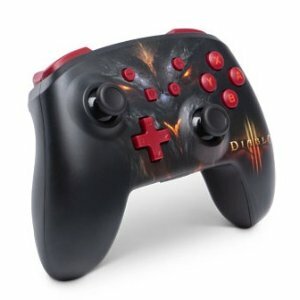 GameStop offers the PowerA Enhanced Wireless Controller for Nintendo Switch - Diablo III for $49.99. Features: Designed for comfort during extended gaming sessions, this Bluetooth wireless controller features neutral white design with red accents, motion controls, standard layout, and metallic D-pad. Enjoy up to 30 hours of gameplay with new alkaline batteries (other variables affect play-time).